Saigon Translation is a professional services company that brings extensive experience in the execution of large scale Asian languages translation/interpreting projects and a standardized system to manage these contracts successfully. Currently, Saigon Translation is an excellent provider of translation, interpreting, transcription, voice-over, subtitling and dubbing services for Asian languages along with staffing solutions and global business support, with hundreds of personnel as well as 10.000 qualified freelancers in many countries across Asia, US, Europe, Middle East and Africa. Applying ISO 9001 -2008 and being a member of ATA, ELIA and AATI, Saigon Translation exists solely to help Asian corporates as well as organizations expand their market and promote business relationship globally with high quality translation and interpretation services whilst keeps supporting multinational enterprises investing in Asia. Our team consists of experienced experts and business professionals in the fields of language translation, interpretation, localization, recruitment, security, intelligence, business processes and systems, information management technology and outreach to diverse ethnic communities. 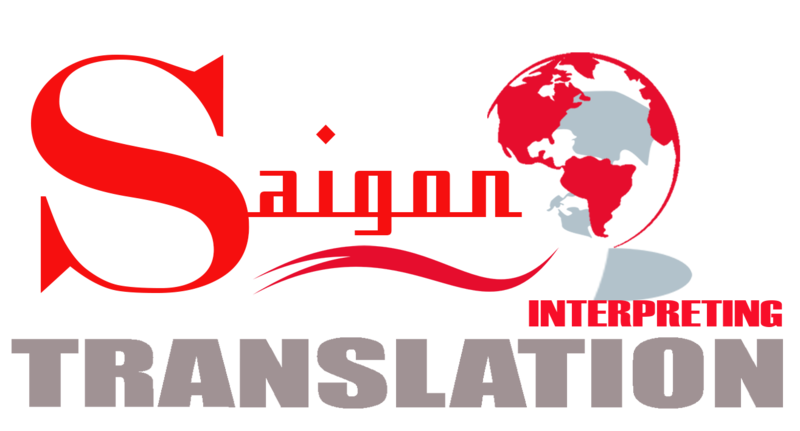 With deep experience in interpretation and translation services, Saigon Translation understands the critical role that highly qualified linguists perform in support of its clients around the world. At Saigon Translation we know that hiring and retaining the highest quality employees is the key to our success as a business. We adopt the goals of our customers as our own, and we encourage our employees to become integral components in our organization. With that in mind, we strive to provide the best possible working environment, competitive compensation plans and generous benefits packages to our employees. By any standard – facilities, revenues, or staff size – Saigon Translation’s growth since its conception in early 2005 has been remarkable. The company has expanded from a small business with a handful of employees to an Asian language strategic partner winning major contracts around the world.